Gerhard enjoys predictive analytics and data mining — especially related to the areas of Fraud Detection, Financial Risk Management, and Health Care — working with people, leading change, and managing complex projects to timely success. His work experience spans private, government, and international sectors. Gerhard helps Information Technology teams evolve governance policies to enable success with data science while meeting the critical demands of information security. He also helps technology teams use data science to right-size software development life cycles and improve overall network stability, thereby reducing technology risks. Gerhard is coauthor of the popular book Mining Your Own Business. that arms executives and senior managers to make better decisions based on discoveries from their organization’s data. The book is frequently recommended as a readable introduction to data science and a useful reference for specific, daily guidance. Gerhard teaches at Georgetown University as an adjunct faculty member in the Math and Statistics Master’s degree program. He also teaches the handson SAS Business Knowledge Series course “Data Mining: Principles and Best Practices” and is a frequent invited speaker at domestic and international conferences. Mr. Pilcher has extensive industry experience in government oversight, financial, construction and telecommunication industries as a business owner and executive. 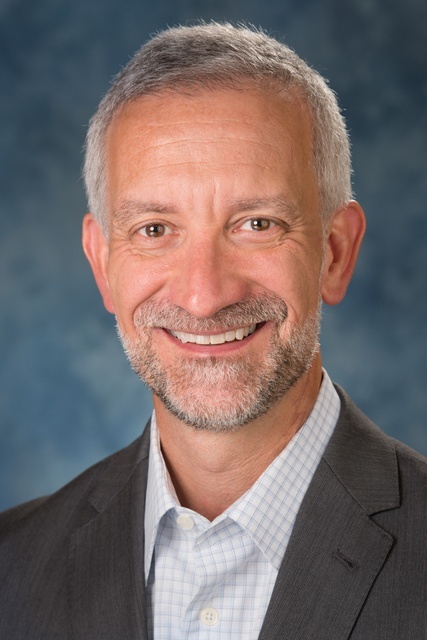 He is a recognized expert in three-dimensional roadway modeling and automated machine guidance using Global Positioning Satellite systems and has presented to multiple agencies including the Transportation Research Board. In his earlier role as Chief Technology Officer and VP of Engineering for Pulse Communications, Gerhard directed the design of early digital subscriber line systems (internet over the telephone line) and was a member of the international forum defining the standards for DSL implementation. Prior to Pulse Communications he was Director of Operations for Bell Northern Research leading the design and delivery of hardware and software for large scale telephony switching and fiber optic systems. 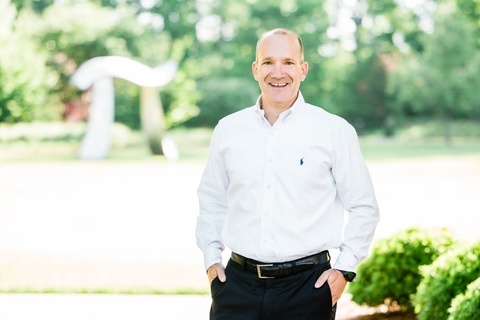 Gerhard serves on the Institute for Advanced Analytics Advisory Board, and on George Washington University’s Advisory Board for the Business Analytics graduate program. He was named to the NC State Computer Science Department’s “Hall of Fame” in its inaugural year. Sandra has dedicated her 25 years plus career to Data and Analytics. Her experience spans analytics leadership roles in large corporates, management consulting and advisory services in the statistical software industry. Her focus these days is to advise clients on the re-engineering of business processes to maximize analytical outcomes in customer relationship management. 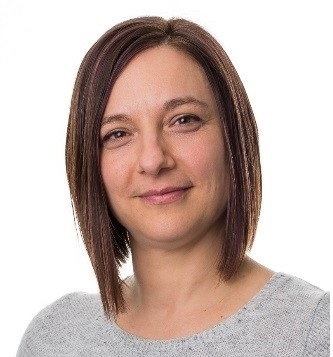 She is passionate about translating complex data into easy to use tools and processes, with strengths in embedding analytical capabilities into business functions to drive action. Leif leads Business Performance and Analytics (BPA), providing quantitative analytics, metrics and reporting, data and systems management, business and portfolio economics, information management and analytics project management services to customer, product, marketing, credit risk, operations and distribution partners. His vision for BPA is to take Westpac to leadership through actionable information, insight and advice. Leif has worked in financial services since 1990, joined Westpac in 1996 and has broad experience across retail, business and corporate banking in sales, product, operations, finance and credit functions in addition to his ten years in analytics leadership roles. He established BPA in 2012, following five years as General Manager, Finance Shared Services and holds a doctorate in commercial credit risk decision-making. 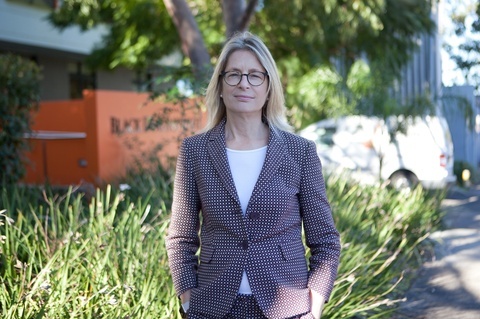 Scientia Professor Helen Christensen is Director and Chief Scientist at the Black Dog Institute and a Professor of Mental Health at UNSW. 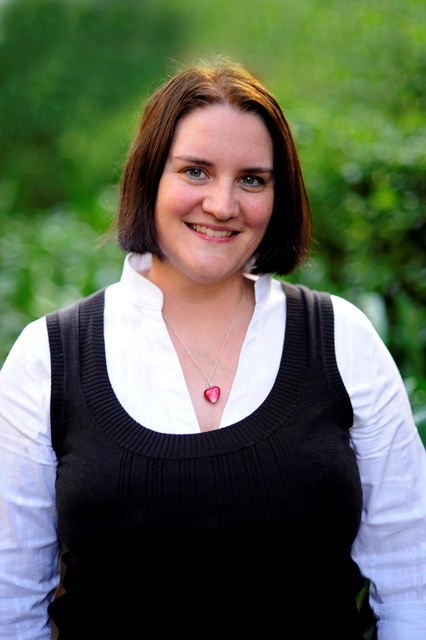 She is one of only two National Health and Medical Research Council (NHMRC) John Cade Research Fellows and Chief Investigator for the NHMRC Centre for Research Excellence in Suicide Prevention (CRESP). 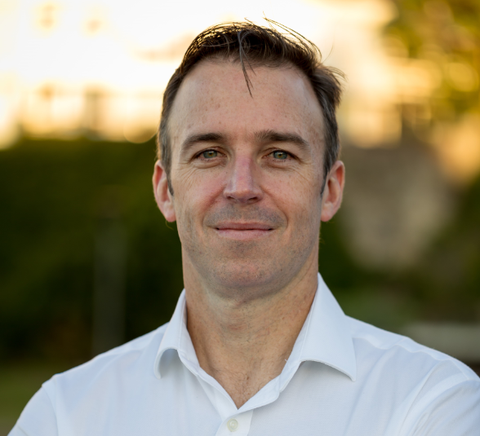 Professor Christensen is an international leader in the use of technology to deliver evidence-based psychological therapies to communities and individuals who suffer from anxiety or depression, or who are at risk of suicide. Professor Christensen leads the Digital Dog team that is investigating novel methods for detecting mental health risk via social media, and developing novel interventions for mental health treatment. The Digital Dog team focuses on interventions to target depression, suicide risk and to enhance wellbeing. Professor Christensen also leads the LifeSpan trial that will investigate a novel systems approach to suicide prevention in NSW. This trial aims to reduce the number of suicide deaths by 21% and the number of suicide attempts by 30%. Professor Christensen’s research also encompasses prevention of mental health problems in young people through school-based research programs. These programs are aimed at prevention of depression and suicide risk through eMental Health interventions. Professor Christensen has recently published the novel approach to preventing the onset of depression through targeting insomnia with the SHUTi program. A quote: “Today’s generation of young women are strong. They speak out, they stay firm and they stand up for what is right. 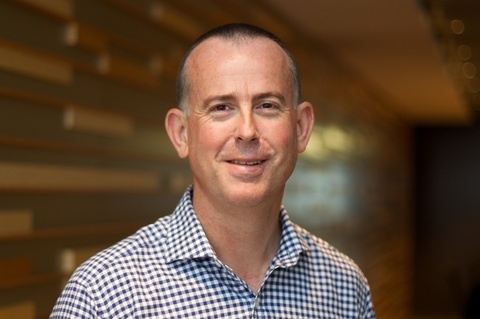 Russell Hunter leads Telstra’s Analytics function, which provides business and advanced analytics used in product design and customer communications. He is responsible for working across the organisation to identify analytics opportunities, developing a deep understanding of the customer and determining how analytics solutions can be used to best manage the customer. He is passionate about using analytics to drive innovation within businesses, with a particular focus on building business understanding of analytical applications and creating cultures and solutions to realise the potential of these opportunities. Prior to joining Telstra, Hunter was Director of Analytics at Optus, responsible for analytics, big data and data monetisation initiatives. He has over 20 years’ experience in the telecommunications industry and holds an MBA from Macquarie University’s Graduate School of Business and a Bachelor of Engineering from University of Technology Sydney (UTS). Throughout his 21 years with SAS, Bob Messier has always had a passion for helping customers transform their world of data into a world of intelligence. That passion emanates from his first role as a Systems Engineer, where he worked with customers to help them on their journey in adopting analytics. From Systems Engineer, he moved into management roles in Technical Consulting, Product Management and Global Product Marketing. In his current role, his teams provide strategic direction on developing programs that help educate and enable customers and partners on best practices in deployment and adoption of both Analytics and Artificial Intelligence Systems. This unique team spans core marketing functions such as Product Marketing, Industry Marketing, Analyst Relations and Brand. The team is a catalyst for integration across the entire SAS organization, collaborating with Sales, Product Management, R&D and Customer Success divisions. The team is dedicated to achieving one objective: empowering and inspiring with the most trusted analytics. As a lifelong learner, Bob is an avid student of history. He believes there are valuable lessons to be learned from patterns in the past. He often uses analytics to improve his golf game and help find his next classic car. Bob holds a MBA in International Management from Rensselaer Polytechnic Institute and a Bachelor of Science in Accounting from Providence College. Jennifer O’Brien has worked in IT journalism, covering the reseller market since 1997 in her home-town of Toronto, Canada. Prior to IT reporting at Computer Dealer News (working as a journalist, section editor and associate editor), O’Brien worked as a journalist, reporting on occupational health and safety and environment news for one of Canada’s top publishing houses, Southam Communications. After graduating with an Honours Degree in Journalism and English from Carleton University in Ottawa (and scooping internships at both the Ottawa Sun and the Ottawa Citizen), O’Brien set sail for Europe and clinched an internship at a community newspaper in Belfast, Northern Ireland. She wrote local news, produced a series of features on religious leaders and local churches, and wrote profiles for the Ulster Star in Lisburn. In 2003, O’Brien ventured to Australia, looking for adventure and a “life change,” after reporting and editing at Toronto-based CDN for six years. While her original plan was to travel and do temporary work, she knocked on the door of ARN – and given her Canadian reseller experience – was offered a contract position as a news journalist. After covering the market for several months, O’Brien moved into the features editor post, a role she held for four years. She then went on to clinch the associate editor role, a title she held from 2010 until 2016, with a major emphasis on event speaking, hosting and moderating, as well as large-scale content and event coverage. Today, O’Brien is the associate editor of CIO, CMO and Computerworld for IDG’s enterprise division. She writes profiles, features and news stories across the trio of titles, while also hosting, moderating and speaking at a range of IDG events including roundtable discussions, breakfast presentations and industry roadshows. She helped develop and launch the CIO50 program – now in its third year – which recognises Australia’s top 50 technology and digital chiefs who are influencing rapid technology-driven change and innovation across their organisations.